BRAINTREE, Mass. – Archbishop Williams’ Patrick Sexton converted a layup through contact. Though he missed the ensuing free throw, his teammate Thomas Veasey corralled the offensive rebound and completed his own traditional three-point play. 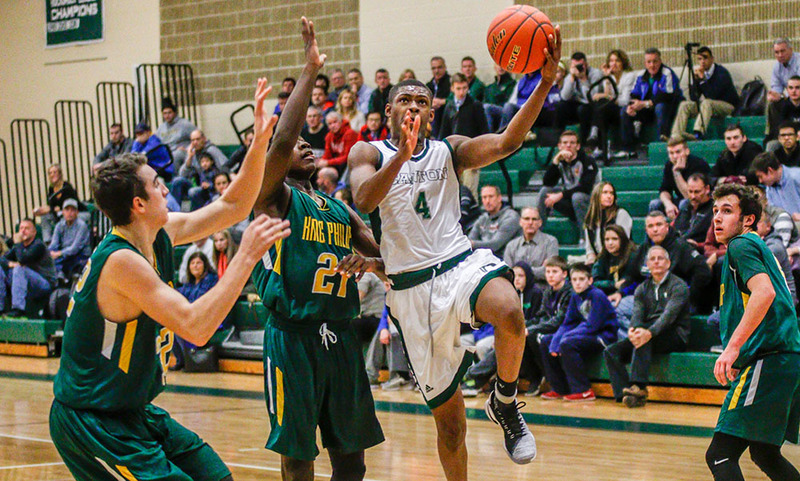 The five-point play swing, emblematic of a back-and-forth game, cut the Canton Bulldogs’ once 12-point lead down to just four with 41 seconds remaining. 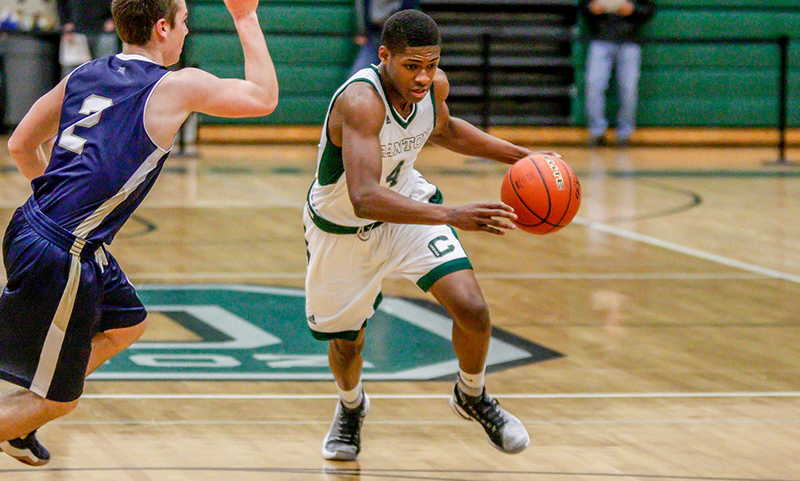 But Canton made enough plays down in the final minute and held on for a 62-57 win. “They found a way to make the game ugly, and we found a way to win an ugly game,” said Canton head coach Ryan Gordy. Canton started the game in control from the tip, breaking the Archies’ zone defense for easy looks. The hosts hung around by attacking the rim, getting to the basket, and feeding the post, where they had size advantages. Canton played man to man defense in the first half, aggressively denying passes and switching on-ball screens. They fronted the post without weak side help, but Archies elected to go over the top to find some success in the post. Inside, Archbishop Williams’ big men either converted layups or got fouled, which put Canton in the bonus early. “We did a good job of that lead pass and our bigs did a good job of finishing,” Archbishop Williams head coach Jimmy Dolan said. “We had a good balance of working the ball in and out, getting to the line,” Dolan added. The Bishops went on a remarkable 18-3 blitz to open the second quarter, swinging the momentum in favor of the hosts. Archies entered halftime with a slim 31-26 lead by winning the second quarter 23-9. Archbishop put their stamp on the second quarter, but Canton returned the favor by outscoring the Bishops 23-6 in the third, taking a 12-point lead into the final frame. The difference, simply, was Devin Foster (23 points). 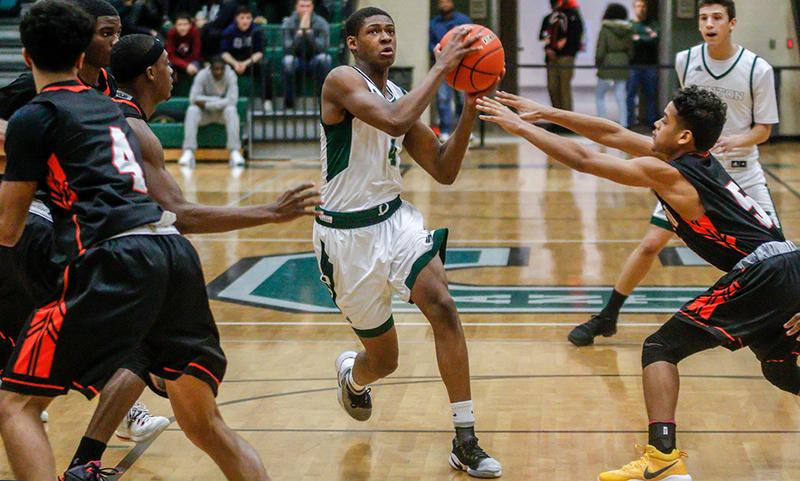 Archbishop had no answer for the junior guard down the stretch, as Foster poured in 15 points in the second half, including 11 in the third quarter. Canton opened the second half on a 12-0 run to retake the lead, with Foster responsible for 10 of those points. 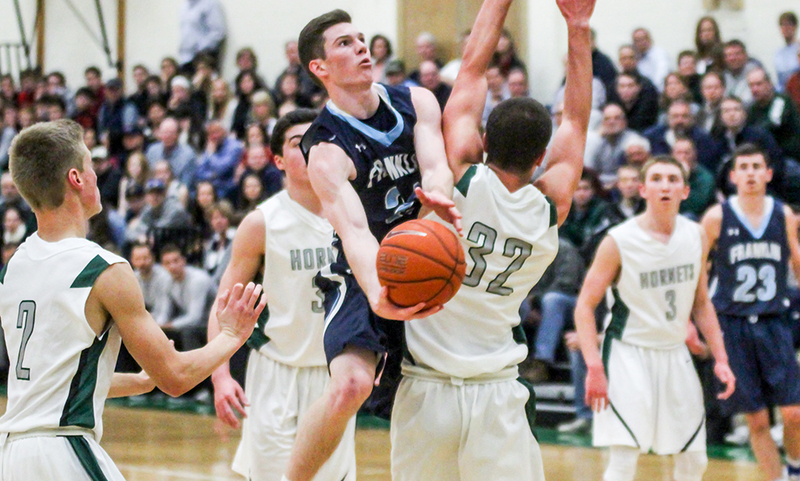 Gordy aimed to “neutralize” Archbishop’s big men in the second half by switching to a high 1-3-1 trapping zone and by giving senior center Matt Warburton more minutes. “[Warburton] didn’t play a lot in the first half, but he was a huge X-factor for us,” Gordy said. 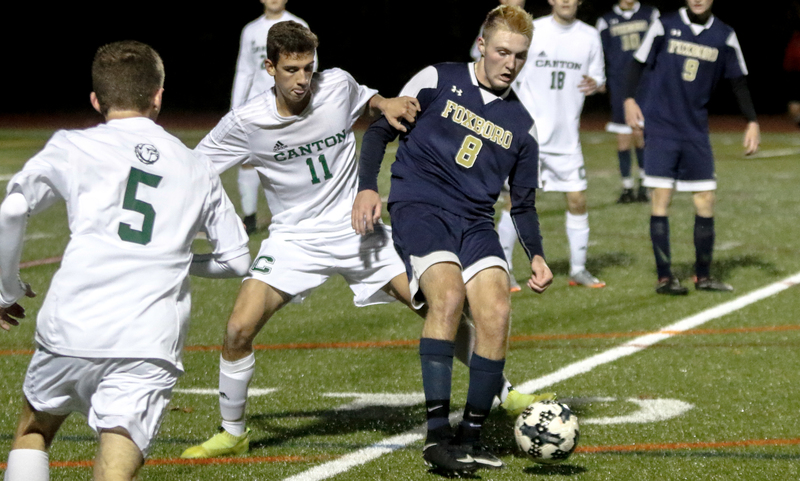 Foster’s electrifying play combined with Canton’s defensive adjustments had them in pole position, but the Bishops never went away. A Sebastian Joseph (11 points) and-one cut the Bulldog lead to single digits, then James Dolan’s (10 points) triple cut it to six early in the fourth quarter. The rare five-point possession brought the Bishops within four. Patrick Sexton’s three-pointer from the top of the key after a pair of Canton free throws made it 60-57 with 15 seconds left, but it wasn’t enough. 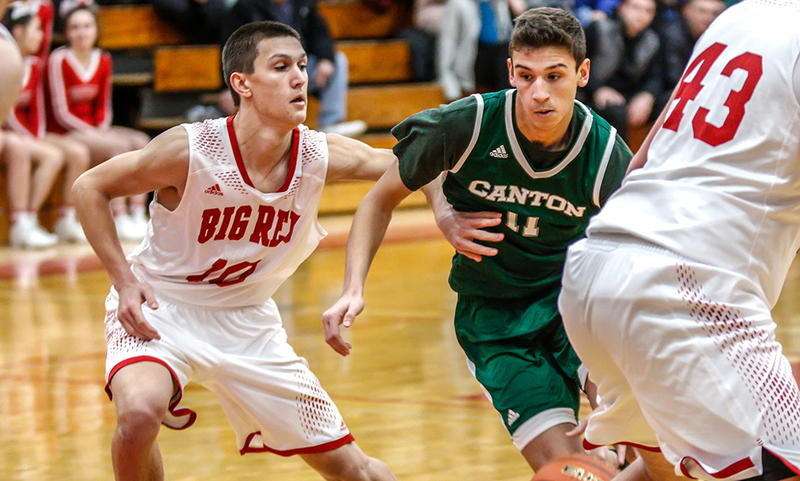 Canton senior guard Jake Verille stepped up on the offense end. Verille dropped 13 points and dished out a handful of pretty assists by swerving into the teeth of Archbishop Williams’ zone defense and kicking out to shooters. 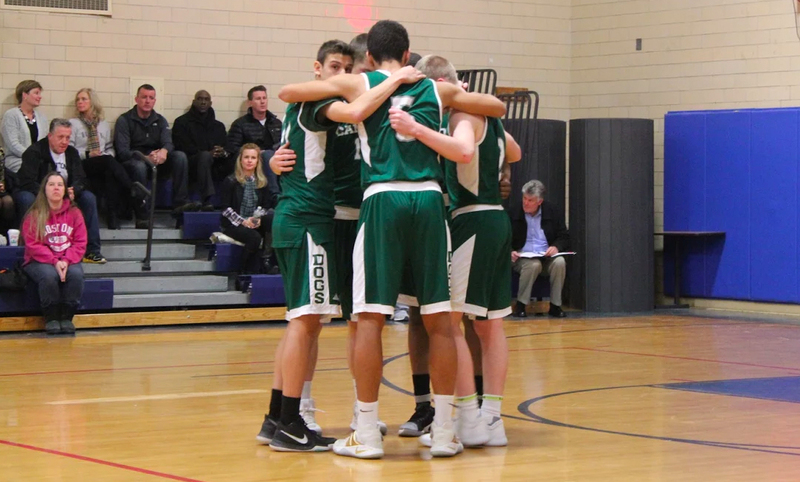 Canton boys basketball (2-1 Hockomock, 4-1 overall) enters division play on Friday, with Milford scheduled to come to town at 6:30.